Founded in 1983 by Guru Balachandran Nair, I.S.M.A. 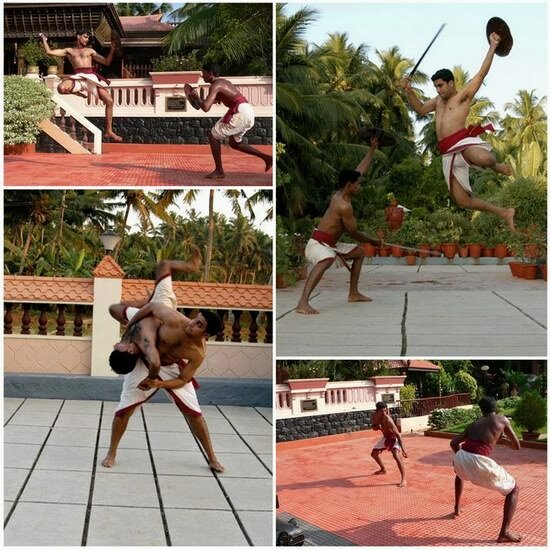 (Indian School of Martial Arts) has been practising, teaching and preserving the ancient indigenous arts of Kalaripayattu and Kalarichikilsa. The headquarters in Vazhuthacaud, Trivandrum, are housed in a three storyed building. 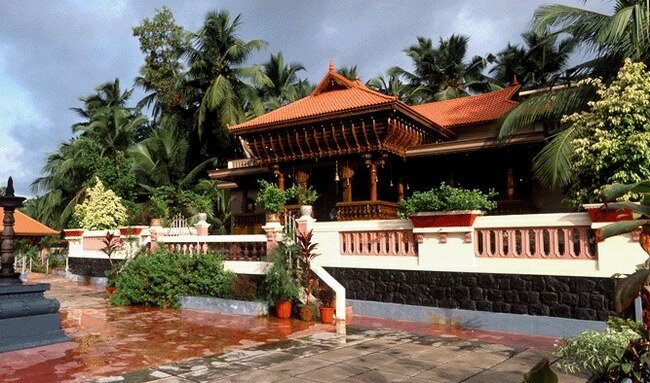 It has a traditional Kalari - the arena for practising the art, built ten feet below ground level. For many years classes were taken, treatments were administered, pujas were conducted, medicines were prepared and grown, and meditation was practised. Literally thousands of students, patients, and guests have passed though its door. All of them have had the unique opportunity of meeting and learning from Guru Balachandran Nair. 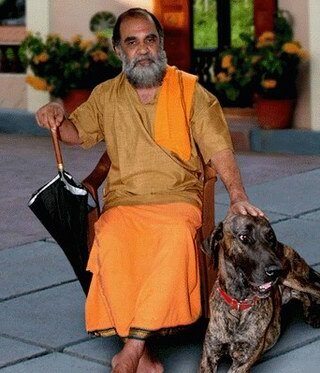 In 2003 Guru Balachandran achieved his long held dream by opening Kalariyil Dharmikam Ashram in the Trivandrum district. Since that time the main focus of I.S.M.A. has shifted to the Ashram, and Guru Balachandran has taken the name Swami Hanuman Das. The School in Vazhuthacaud, Trivandrum is still conducting classes on a daily basis for the youth of Trivandrum. Both the school in Vazhuthacaud, and Kalariyil Dharmikam Ashram continue to play a vital role in the preservation of traditional arts, traditions, and values. Guru Balachandran Nair is one the few surviving great masters of Kalaripayattu who has served as a warrior in the truest sense. 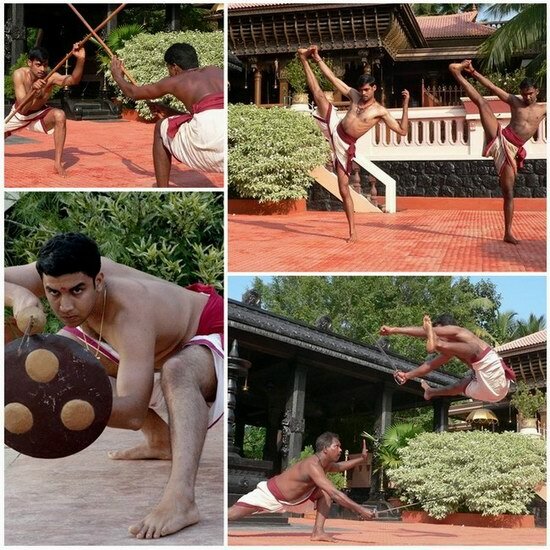 He has dedicated his life to the preservation of the ancient martial arts tradition of Kalaripayattu, by establishing the Indian School of Martial Arts at Thiruvananthapuram, the capital of the southern Indian state of Kerala. By virtue of his long dedication and devotion to his Masters, who trace their lineage to the mighty sage Agastya, he has acquired the knowledge of the Marmas and has on record on ancient palm leaf and other manuscripts treatments for virtually every known ailment, disability and injury. Through his intense discipline and training of mind he has reached the stage of "Self-Realisation" and Guru Balachandran Nair is a warrior now turned healer of international renown and recognized through his extensive travels, documentary programs on television channels such as Discovery, National Geographic, German, French, Swiss and Japanese television and countless features detailing his unique capabilities in the print media such as Yoga Journal etc. Is a graded training schedule demanding dedication,desciplineand devotion. It is stratified into different levels. Includes unarmed techniques through which the aspirant achieves mastery over his body movements and balance. In this level, the student is trained to attain agility, flexibility and co -ordination of body movements. This level involves training with weapons. Training is imparted in traditional sword fighting. Involves proficiency in the usage of sword and shield, spear and lastly urumi or the spring sword.